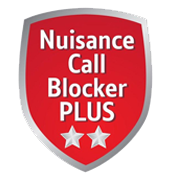 The BT Essential features some of the best Nuisance Call Blocking technology. This amazing technology offers users excelent control over which calls they want to allow. You can are able to block a list individual numbers. Additionally you are able to block calls by their type. Examples include witheld or international So long as you add your contacts to your phone, they can bypass the call blocking, so you don't miss them all important calls from friends or relatives. The BT Essential has a nice large 1.8" blacklit screen display, making it easy to see the screen and dial or add entries into your phone. You can add up to 100 names and numbers which get shared between all the handsets if you have more than one. Each handset can have it's own ringtone from the choice of presets, giving your phone a little personal touch. You can PIN protect specific types of calls or even all calls, for that extra security with children in the home, or elderly who rack up bills unknowingly.